Comprehensive articles illustrated with stunning photos are a DAPPA trademark. Not surprisingly our work has appeared in over twenty different aviation magazines from all around the world. DAPPA covers all kinds of military aviation subjects, ranging from air policing missions and carrier deployments up to international exercises and low flying training. We are proud to present a selection of our photos and publications, and are already planning on our next assignment. We hope you will enjoy the photogalleries and look forward to hear from you, especially when you think you have a good subject for us to write our next illustrated article about. We will be happy to report on it. Baltic Air Policing - Since 2003 NATO has been patrolling the skies over Lithuania, Latvia and Estonia in order to provide safety and security. 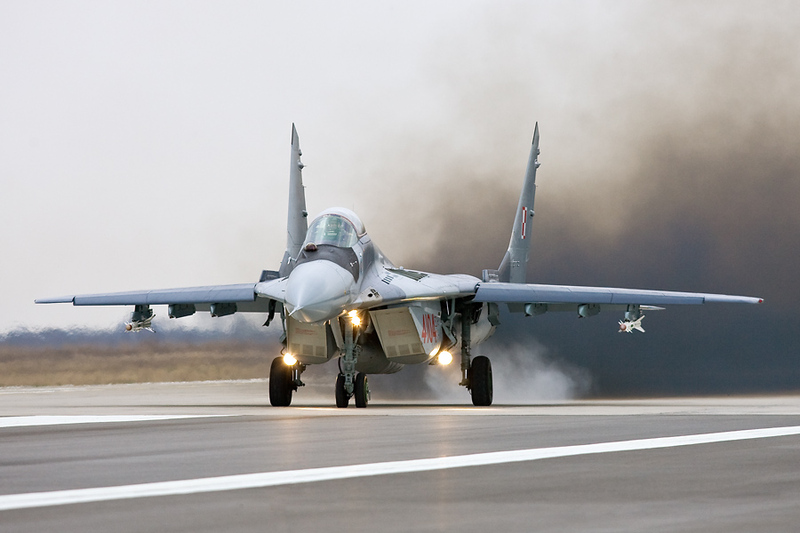 Polish AF MiG-29's from Malbork deployed to Siauliai AB and took up this job for four months. Fighting over Chile - Exercise Salitre is the largest international air defence exercise in Chile, where units from Argentina, Brazil, Chile, France and the United States cooperate to defend friendly airspace against rebel air attacks.